LinkedIn is a great means to network with other marketers or business owners. 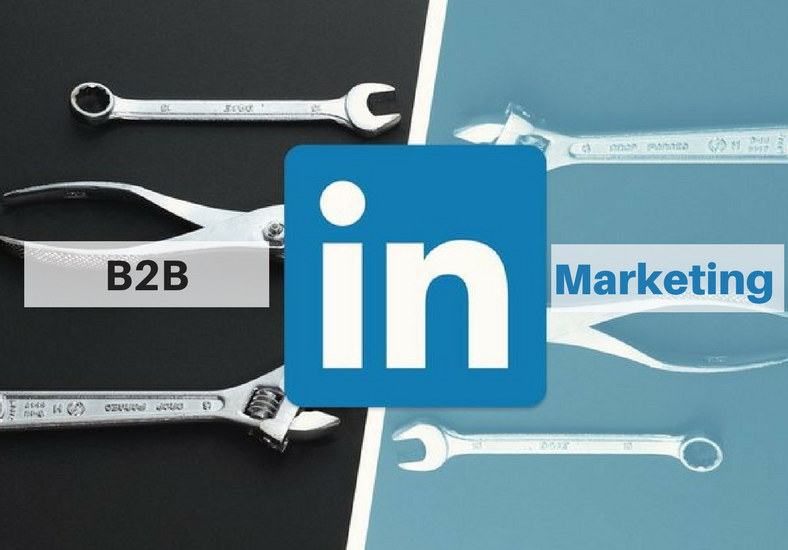 If you are in B2B marketing or have a task to source leads for your brand, then LinkedIn is your most powerful platform that can help your business grow. This professional social site is a great means through which you can connect with individuals and companies for networking and increase your prospects. Here in this blog, I will talk about how you can use this powerful marketing tool to generate B2B leads. It is very important to connect with your leads and having access to the content that they would like to share is vital to being a strong conversation with them. You can do this if your lead has something to publish that is original. Re-promoting their content shows that you support their views and is actually interested in developing a relationship with them. Once you start to connect with your prospects, the activity will start to show up on your feed. LinkedIn Sales Navigator offers great benefits from going premium on LinkedIn to social selling index that helps to measure the social selling effectiveness. So, if you desire to boost sales, then this sales navigator tool is the best place to start. Its prime goal is to connect to buyers and sellers in a very unique manner. It helps to find the best prospects that are aligned with your offers and also ensures that you have the best relevant information that helps in decision making. Updating your CRM manually may be the most painful thing for a sales person, but it’s an important part for your marketing automation platform. You may try to do prospecting in LinkedIn, but your CRM may be the single source of truth. Using Export to CRM saves additional time and helps you to create a contact list using someone’s LinkedIn profile. This is very helpful for marketing teams who are on constant lookout for new profiles to be added to the database. When it is about LinkedIn groups, marketer often finds it beneficial as they can engage with other groups easily and form new connections. This helps to improve authority and also visibility in your industry without directly promoting your services or products. Your main focus should be to take part in debates and discussions and also provide genuine answers to queries. This will help you to position yourself as a leader and connect your brand with others. You can send direct messages to other LinkedIn members by using InMail messages. Sponsored InMails are used to draw the attention of your targeted people and get the action that you desire. The messages stay at the top of the recipient’s inbox and help to drive better conversion with personalized messages. This makes selling on social channels even more fun. LinkedIn offers a great means to upgrade yourself on social selling. This is a perfect means to measure how effective you have been in establishing yourself as a professional brand, building relationship, finding the right person and even engaging with insights. Conducting a major team wide competition by raising the SSI score to the highest in a specific month can help your sales team to boost selling and also gain more brand exposure. The above tips will surely help your sales team to best utilize LinkedIn platform and increase connections, generate more leads and also drive more sales for your business organization.